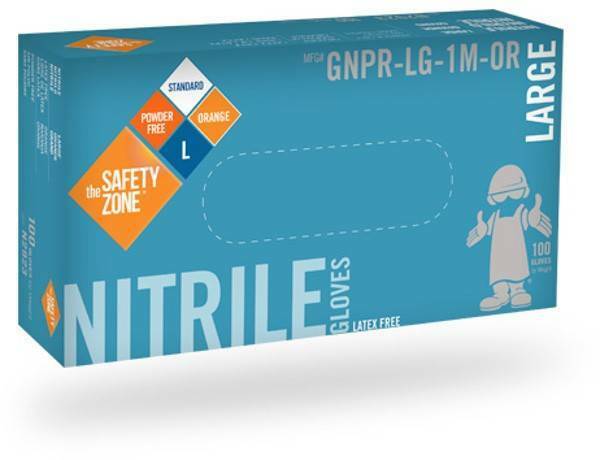 Safety Zone 4 Mil Orange Nitrile Industrial Gloves- Powder Free. 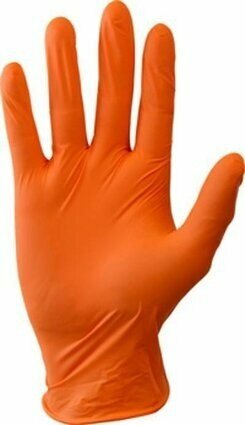 Excellent quality, 100% latex-free nitrile. Best disposable gloves for chemical resistance. Textured for better gripping power. Meets FFDCA requirements for food contact. Greater tactile feel over other latex alternatives. Case: 10 boxes/100 per box.